This traverse through Inter-Andean Mountains and Vales courses through Moniquira, Santa Sofia and Villa de Leyva amidst rural roads, manors and peasant farms legendarily used by the territory’s populace. 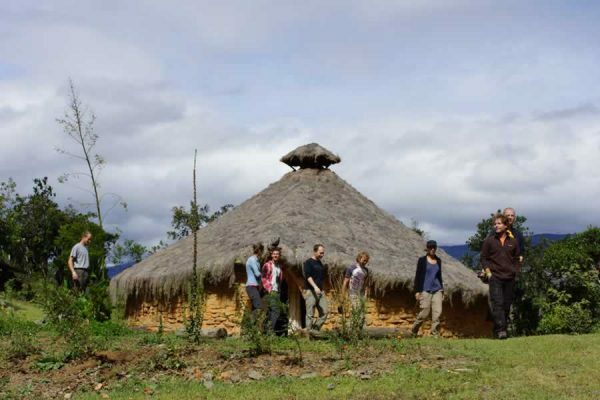 Travelers will have the opportunity to take a closer look at the peasant lifestyle and visit indigenous ceremonial grounds. All that and a world of adventure, camping, bonfires, temazcals (sweat lodges), horseback riding and much more. 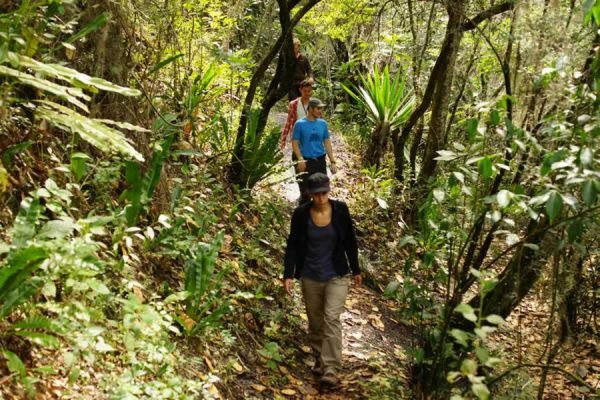 Medium demand hiking tour with an accumulated height difference of 600 meters (at its lowest 1,900 meters above sea level, and at its highest 2,200 meters above sea level). Suitable for travelers with good health and physical conditions up to 72 years of age. 5O minutes on car the first day. Duration: 3 to 6 hours of daily hiking approximately. Moderate weather conditions during daytime and cold climate at night with probability of mild rains. 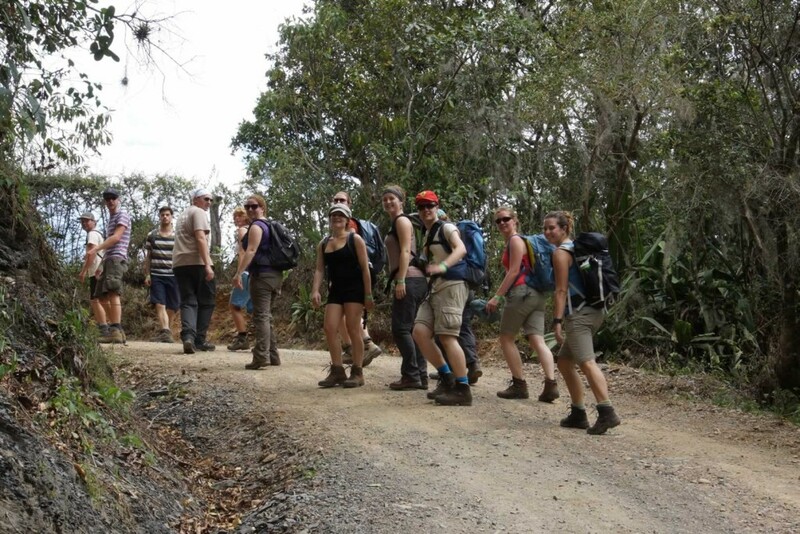 Adequate trekking clothes and shoes are a must. DEPARTURE TIME: 9 AM, please be ready to depart 10 minutes before the aforementioned time. 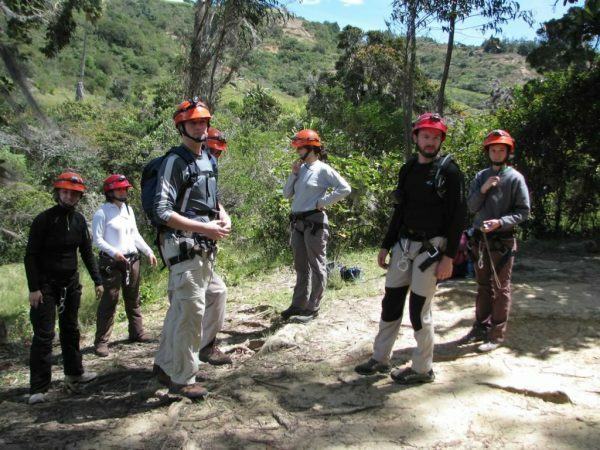 Lead and local experienced secondary guides. 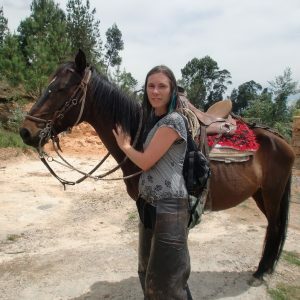 Horse backriding from The Valley to Villa de Leyva. Specialized equipment and instructors for extreme sports. Camping equipment: Tents and thermal insulators. 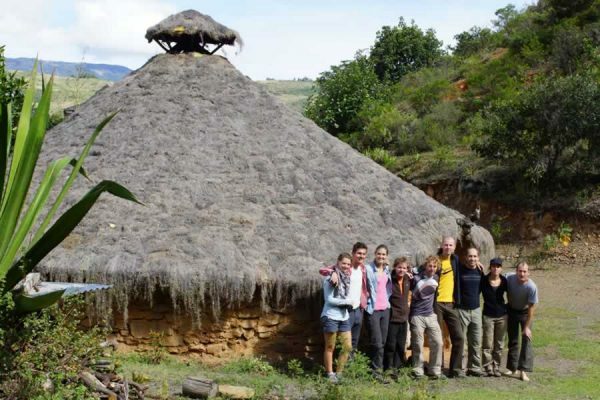 One night at the Renacer Hostel with multiple accommodation. If the traveling party requests private quarters, an additional fee of 40,000 COP per person will be added. One-night camping by the Moniquira riverside. 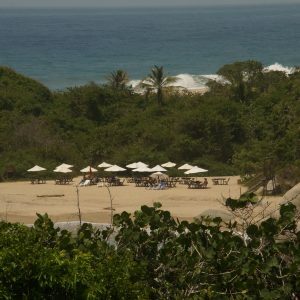 One night at Finca Arca Verde and/or camping. 3 Breakfast, 1 Lunch, 3 Dinners. Two double refreshments for the second and third hiking days. Medical supplies and logistics support. Sleeping bag. Guide gratuity. 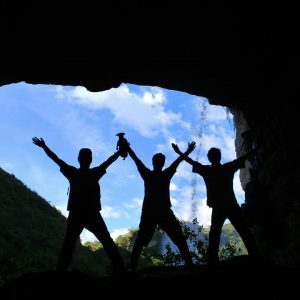 Non-specified expenses in the hiking plan. Bilingual Guide (Additional Cost, options: English & French. Ask for the price). Carry 1 small backpack for the hiking portions of the trip, a reusable water bottle and a lantern. Carry 1 big backpack to transport your sleeping bag, toiletries and other items that will be needed during nighttime. The big backpack will be transported in a vehicle and every traveler will find theirs upon arrival at the selected sleeping place. 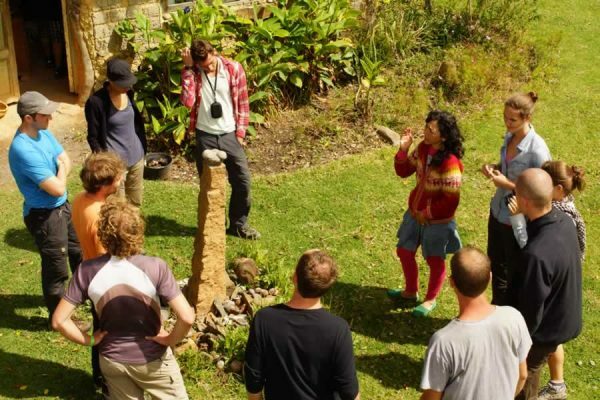 If the traveling party wishes to, it may leave its luggage at Renacer Hostel and take only the essentials for the Mountain Tour. Sleeping bags are a must (Average altitude 1,900 meters above sea level). Maximum temperature during daytime: 75 °F. Minimum temperature during nighttime: 46°F. 3PM. 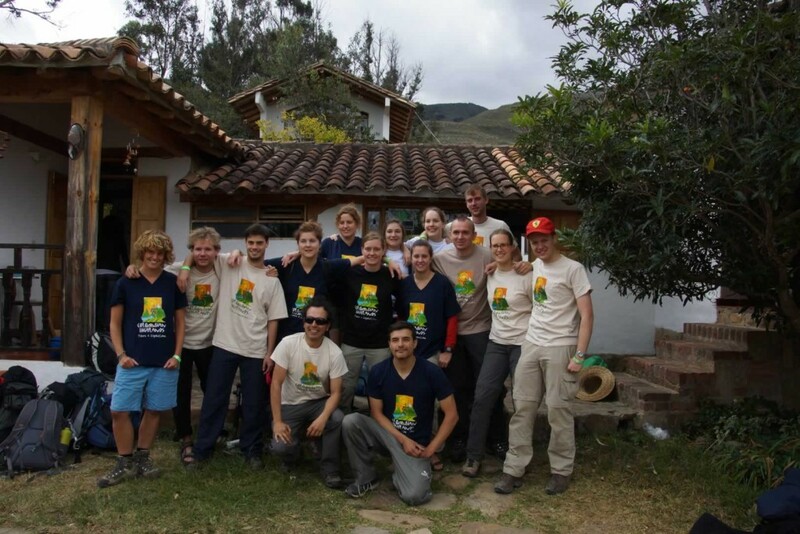 Arrival at Villa de Leyva. 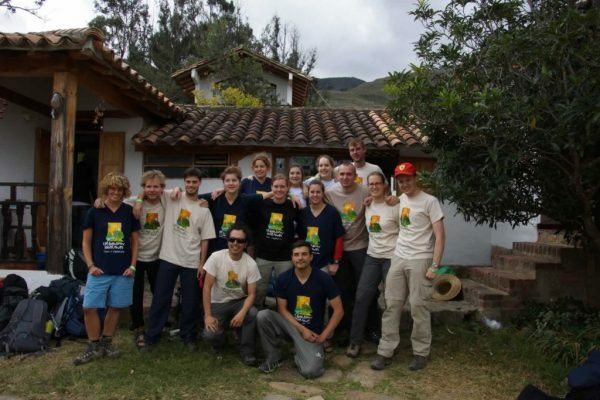 Multiple or private accommodation at the traveler’s convenience (Renacer Hostel). 7PM. Depending on time of arrival, breakfast/dinner at Renacer Hostel Restaurant. 9AM. 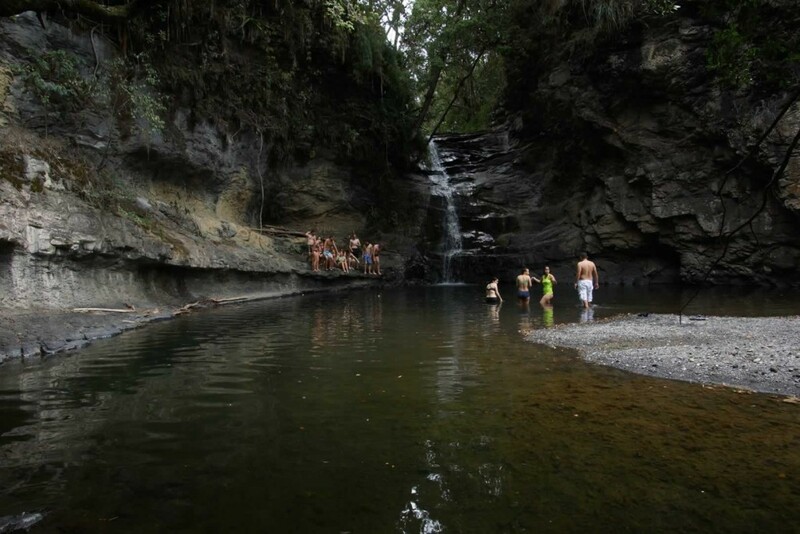 1-hour pick-up truck drive to the Sorocota waterfalls. 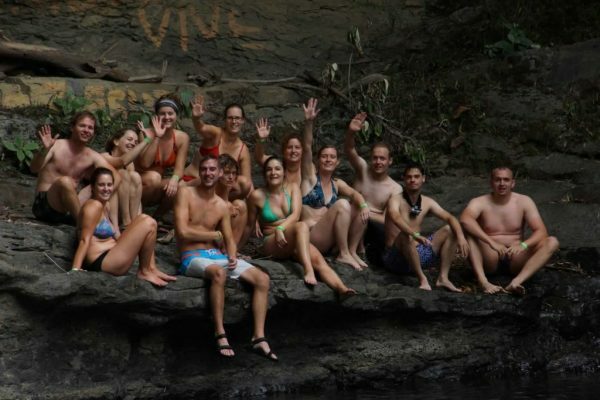 Hiking tour to the waterfall and canyoneering down the waterfall (30 meters high) and/or swimming in one of its wells. 3-hour hiking tour to reach the camping site along the Moniquira riverside flanked by two nearby waterfalls –80-meters Guatoque Waterfall and 30-meter Black Well Waterfall. Swimming is encouraged. 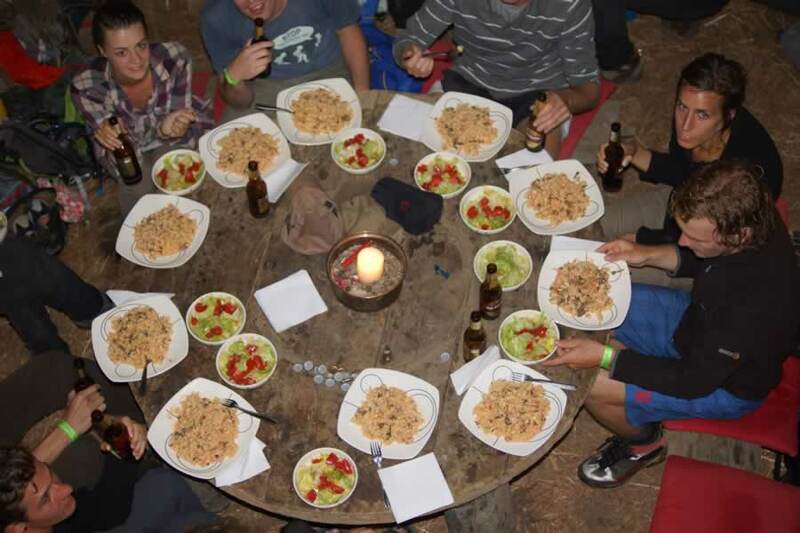 Camp creation and dinner preparation. Bonfire to keep the cold out. 8AM. Preparations for the hike to the Hidden Valley –a tour with numerous attractions, such as Paso del Angel, a 30 centimeters natural bridge that spans the canyons between Moniquira and Guatoque rivers, a wonderful view of the Hayal Waterfall and the crossing of numerous peasant state houses. 12M. Lunch time. A brief respite to initiate the last part of the trip. 1PM. 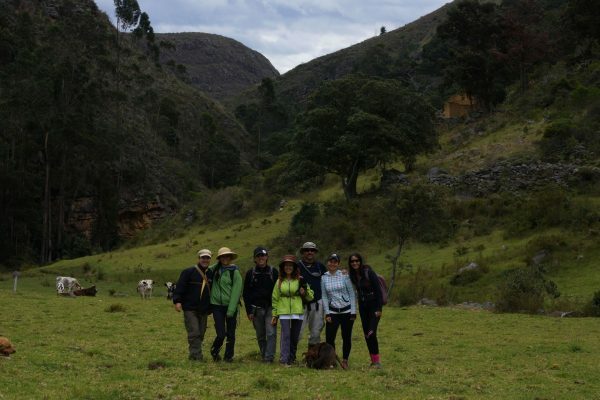 Hike towards Hidden Valley, visit to the Cave of the Factory and crossing of the Moniquira river in low waters. If the river is grown, the crossing will be through the Cane River to reach the Green Ark manor. 6PM. Arrival at the Hidden Valley (Green Ark manor). Camp will be set-up at Maloka or in tents, at the traveling party’s convenience. 6:15 to 8PM. 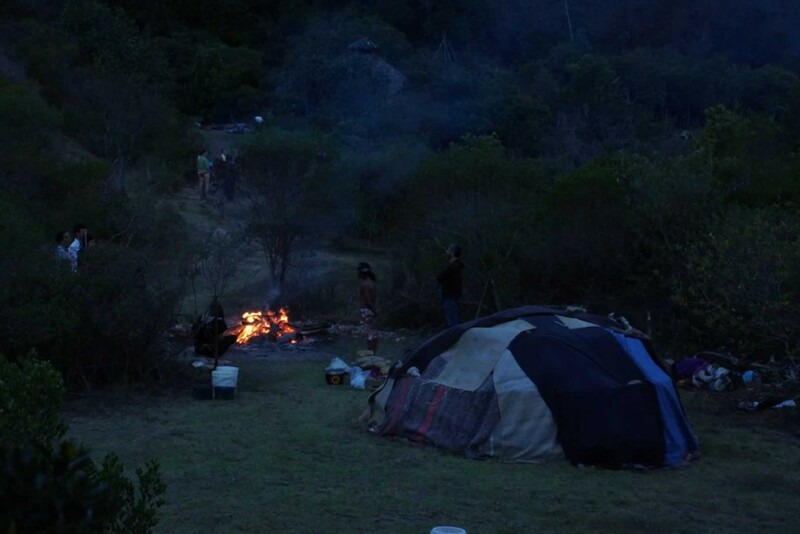 Temascal (sweat lodge). Optional activity for those interested. It must be reserved beforehand for a minimum group of 6 people. 8:30PM. Dinner from organic vegetables, freshly harvested from the vegetable garden. 9AM. 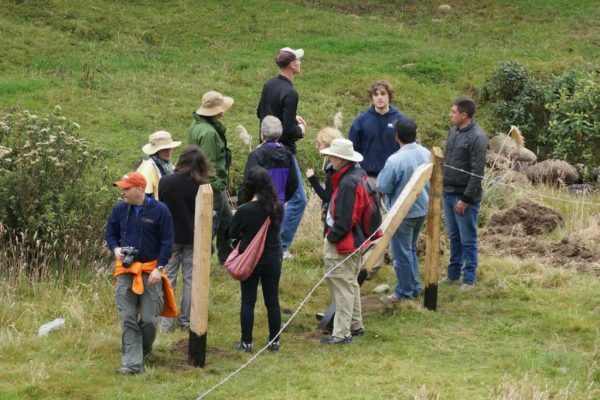 Short tour at the Arca Verde and brief explanations of Permaculture. 10AM. 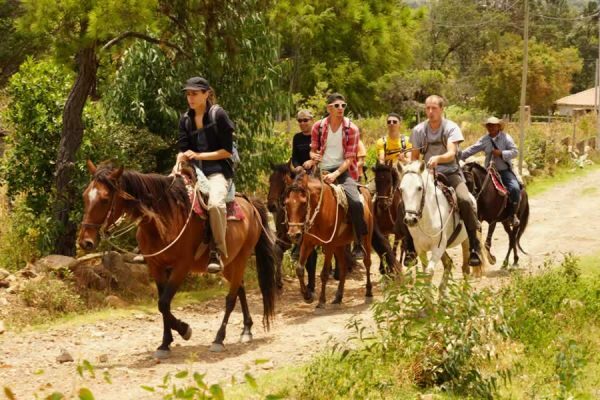 Horseback riding towards Villa de Leyva through the desert –Alto de los Migueles path. 2PM. Upon arrival the party may shower, rest and prepare for its next trip or scheduled activity. 3PM. 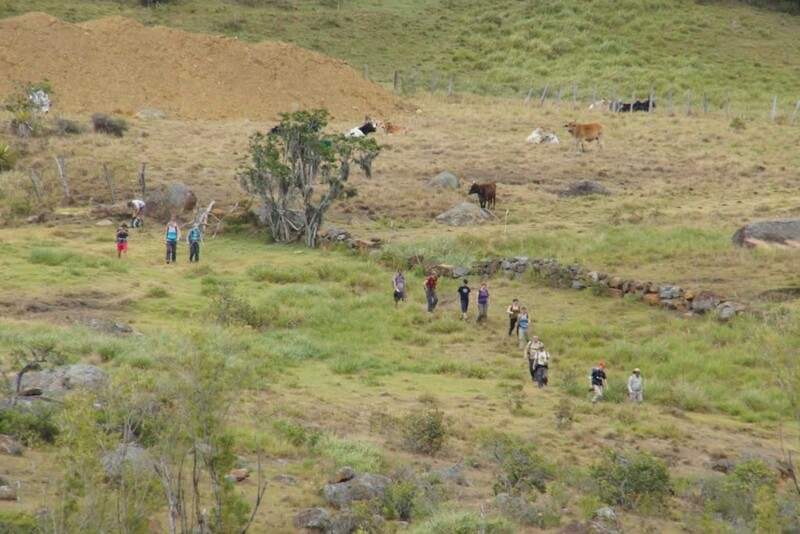 Continue towards its next destination according to the travel plan.